A product of the Nottingham Forest Youth Academy, James arrived at Nene Park on loan from Forest on 7 July 2009. 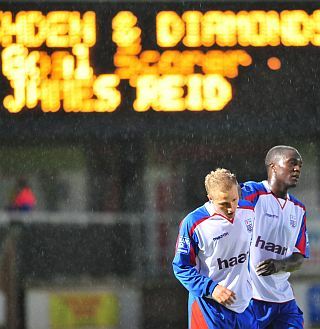 He had made just a single substitute first team appearance prior to his arrival, and joined Diamonds to gain some first team football. The left winger had been named ‘Academy Player of the Year 2007/2008’, and represented England at Under 17 and Under 18 level. He scored his debut goal in Diamonds 6-1 rout at Barrow, but found it difficult to displace Lee Tomlin from his left midfield position. Although the loan was for half a season, he returned back to Nottingham Forest on 20 November 2009 by mutual agreement, but was released in early February 2010. 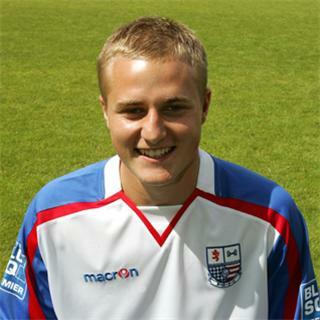 He initially went on a trial with League Two side Exeter City later in the month, before joining Lincoln City, initially on trial before signing non-contract forms on 11 March 2010. His contract was not renewed in the summer and James joined Conference North side Hinckley United in early August 2010 for the following season. The midfielder scored 14 goals in 45 appearances for the Knitters and on 7 June 2011, signed a one year deal with newly promoted Conference side AFC Telford. After just 5 appearances for the Bucks however, James went out on a one month loan deal to Northern Premier League Division One South side Ilkeston on 24 November 2011, which extended by a further month. His contract at Telford was eventually terminated at the end of January, and on 1 February 2012, he signed a permanent deal with Ilkeston until the end of the 2012/2013 season. James signed a further one year deal with the Robins in May 2013. He then moved to Gainsborough Trinity in 2016, before a move to Basford United early in 2017, and is playing for them in the 2018/19 season.